DREAM was funded alongside several other projects in the H2020 call ICT-09-2017 “Networking research beyond 5G”. These projects are working together to share and disseminate information among themselves and to a wider audience. There will also be a range of events including workshops and conferences: please check the news feeds for details! 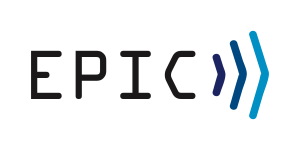 EPIC aims to develop a new generation of Forward-Error-Correction (FEC) codes in a manner that will serve as a fundamental enabler of practicable beyond 5G wireless Tbps solutions. The project also aims to develop and utilize a disruptive FEC design allowing to advance state-of-the-art FEC schemes and to obtain the principal channel codes for beyond-5G (B5G) use-cases. The design framework developed within the project will offer new ways to conduct research and development and has the potential to affect the development of all future B5G communication systems. The aim of TERAPOD is to investigate and demonstrate the feasability of ultra high bandwidth wireless access networks operating in the Terahertz band. The project will focus on end to end demonstration of the THz wireless link within a Data Centre Proof of Concept deployment, while also investigating other use cases applicable to beyond 5G such as wireless personal area networks, wireless local area networks and high bandwidth broadcasting. The project seeks to bring THz communication a leap closer to industry uptake through leveraging recent advances in THz components, a thorough measurement and characterization study of components and devices, coupled with specification and validation of higher layer communication protocol specification. TERRANOVA envisions to extend the fibre-optic systems’ Quality of Experience to wireless links by exploiting frequencies above 275 GHz. This means reliable connectivity at extremely high data rates in the Tbit/s regime and almost ‘zero-latency’ for networks beyond 5G. The consortium will employ breakthrough technology concepts, namely: the design of baseband signal processing for the complete optical and wireless link and the development of THz wireless frontends and their integration with photonic components. A network information theory framework, caching techniques, channel and interference models, all tailored to the particularities of the THz regime and extremely large bandwidths will achieve the successful co-design of components and network solutions. The ULTRAWAVE project is aimed at developing a high capacity backhaul that enables 5G cell densification by exploiting bands beyond 100 GHz. New travelling wave tubes delivering high power will allow the creation of an ultra capacity layer providing more than 100 Gbps per kilometer square in point-to-multi-point at D-band (141-174.8 GHz) fed by novel G-band (300 GHz) point-to-point high capacity links. The ULTRAWAVE system is empowered by the convergence of three main technologies: vacuum electronics, solid-state electronics and photonics. This ULTRAWAVE layer will enable backhaul of hundreds of small and pico cells, no matter the density, opening scenarios for new network paradigms aiming at a full 5G implementation. WORTECS will explore Tbps capability of the spectrum above 90 GHz, combining radio and optical wireless technologies. The primary challenge of WORTECS is to propose scientific and technology advances for novel use of the spectrum, de-risking technological building blocks at frequencies above 90 GHz up to THz communications backed by innovative usage scenarios, for instance, virtual reality. It will also address visible light communications and develop radically new approaches for spectrum efficiency. WORTECS aims to offer: optical wireless communication and radio over 90 GHz Proof of Concept with several Gbps throughput: innovation on antenna, coding and heterogeneous wireless network studies with new architectures and protocols for routing, latency and caching.